I haven’t uploaded one of these posts in a while. As explained in a previous blog post I’ve been slacking on blog posts recently. 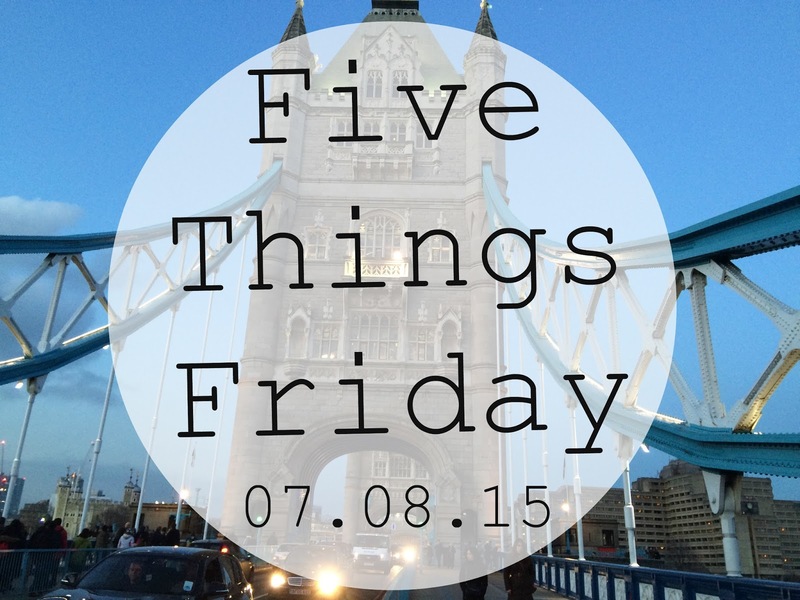 But have no fear I am back and bigger than ever hence the return of Five Things Friday!! So I thought that I would start this series called Five things Friday now it’s not like I just made it up myself I’ve seen many bloggers do exactly the same post but on their blog. If you haven’t already guessed what it is then I’ll let the cat out of the bag every Friday I’m going to be looking back on my week and sharing with you guys five good things that happened that week. I think that it’s such a lovely way to keep a mini record of my life as you often forget those little things that happen on a daily basis. First of all is driving so since I last mentioned driving I have come a long way. I am almost ready to take my test however there’s a few things that are holding me up such as my steering, doing things quickly and controlling the car when I’m on the road. When I mean control the car I mean keeping to the left of the road by the road markings. This is because when you learn to drive you are told to keep to the left nearer the edge of the road line instead the middle of the road line (the one that separates the left and right side of the road). I actually find it quite hard to do this as I can’t seem to keep the wheel of the car straight. Seems silly I know. But the steering wheel is really sensitive and any movements or dragging of the wheel will obviously change where the car is. My driving instructor has told me that if I keep dragging the wheel and the car kind of moves left and right instead of straight I will fail. This slightly scares me as I’ve also been told many other ways I could fail my test. Anyways moving on swiftly I am enjoying my lessons at the moment and I hope to pass by the end of this or next month depending on my progression. I will definitely keep you updated like I have done from the start and I may even do a video on it in the future. Next is blogging as you may have seen I have changed my blog design and my blog schedule. This as I have mentioned already in this blog post is because I’ve been struggling to find motivation to blog recently. So by making these changes I feel like I have injected a new lease of life into my blog which I love. I have already had some fantastic feedback from you guys and I’m happy that I did decide to make these changes. If you are a blogger you will know that you are constantly spending your time updating and improving the quality of your blog. This is actually really time consuming as you are trying to write blog posts as well as improving your blog at the same time. Seems easy I know but it’s actually quite hard as you have to conduct your own market research and then adapt your blog from there. On Tuesday which was the 4th of August it was my works 1 year anniversary. I work in a bubble tea shop in London which is quite different but it’s definitely a lot of fun. I was actually working that day so I got to see all of my colleagues who came in and said hello throughout the day. The first 100 customers received a cupcake with their drink which the staff also got to have as well. They were so yummy a bit tiny but delicious so worth that one bite (literally). So as it was our 1 year anniversary it also meant that I had been working at this place for a year which is quite an achievement. I have loved every minute of it both good and bad and I will be sad to leave whenever I do. I have made friends for life and our team of staff are like one big family. As we say once you’re apart of our family you’re always a part of our family!! Last Sunday (I know it’s not this week but it almost was so I’ll take it) one of my closest friends came over and we ordered some take out and just spend the day catching up and watching movies. I had such a lovely day even though we didn’t do much you don’t always have to do things with friends outside of your home. A day at home with food, drinks, films and chatting is just as fun even more so. We hadn’t seen each other for about a month because we had both been so busy so this whole day was well deserved and one we will remember for a while. The last thing is also food because this week I have eaten really badly. I mean 2x take away, crisps, sweets, chocolate, fizzy drinks, alcohol (Okay not such a bad thing but I don’t usually drink it) & lots of tea (also not a bad thing but it can be bad if u drink loads). So next week I must try to eat better whether I do or not we’ll see because I may just be eating the same as this which is bad bad bad. Usually I’m not a bad eater I make sure to eat lots of fruit and vedgetables however I’ve been kinda stressed lately so my healthy eating has gone out the window. "Wishlist | Mid-Week #10 Milani Cosmetics"